"The Power of the Platform in Smart Cities"
Cities are transforming from digital cities to smart cities. A city becomes "smart" when it harnesses the data from smart devices, networks, cloud infrastructure, and applications & analytics to develop new insights as well as new products and services. Smart cities require collaboration between public and private sectors in order to create new business models. Having a Smart City Platform as a control panel for integrating city services helps cities deploy integrated smart city solutions to accelerate sustainable economic growth and create safer and more efficient cities. 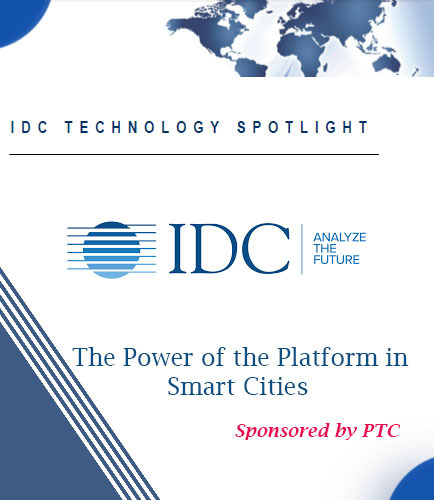 This IDC Technology Spotlight whitepaper explores how smart city platforms are essential for integrating smart technologies, the importance of smart city platforms as a key mechanism to integrate smart technologies and the challenges behind the implementation of smart cities infrastructure. How can Smart City Platforms help solve big urban challenges? Grid Data Vault is a seamless and highly scalable software application that effortlessly compresses inactive EnergyIP data, while providing flexible access so that data is available whenever and however it is needed. Grid Data Vault represents a 360 degree view of data management for Smart Grid. This informative whitepaper focuses on: How can a data archiving approach using Grid Data Vault streamline the data management process? What are the key benefits of using Grid Data Vault in smart grid applications? How can smart grid technology help in significantly reducing data storage and maintenance requirements? How can Grid Data Vault overcome the data management complexity and the risk of non-compliance? Get rid of extraneous infrastructure, power, and overall costs associated with storing vast amounts of inactive data!!! Download this whitepaper on “Grid Data Vault: data management for Smart Grid applications” to get started now. Smart cloud-connected devices are changing how value is created for customers, how companies compete, and how it can be helpful in reshaping the industry structure into a cloud connected IIoT environment. Secure IIoT On-Ramp Suites are designed to accelerate the transformation of industrial devices into smart, cloud-connected devices. This informative whitepaper outlines four simple steps in using IIoT On-Ramp Suite; and in making it simple rather than daunting to develop a roadmap towards a smart, cloud-connected IIoT environment. This technical whitepaper answers about: What smart, cloud-connected products are and how they can redefine the industry boundaries? How smart cloud-connected devices are transforming companies and their competition? What are the steps involved in transforming semi-smart products into smart, cloud-connected products using the IIoT On-Ramp Suite? Consumer IoT vs industrial IoT: What are the traditional distinctions between consumer IoT and industrial IoT? What the Consumer IoT can teach the IIoT? What is Device management ? We are surrounded by devices, whether it is a mobile phone or a supercomputer. Devices can include smartphones, laptops, computers, IoT systems, virtual and non-virtual devices. They reduce our work and increase efficiency. In simple words, we could say that the devices take care of our daily needs. What is Application Enablement ? The user interfaces on our devices mostly work because of the applications on the device. Applications make using any device easier. Application enablement helps provide easier access to such applications on a convenient platform.